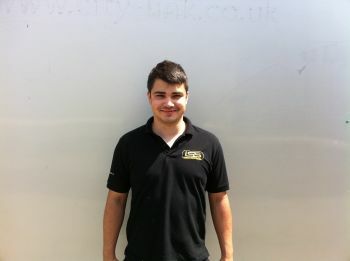 Welcome to new team member, Bryn Stilgoe, a fully qualified Electrical Engineer who joins ISS this month. Along with the other ISS Field Engineers, Bryn will be responsible for installing, maintaining and servicing a wide range of vehicle safety and efficiency equipment such as reverse camera systems, reversing radars, Hard Disk Recording, warning lights and beacons, vehicle tracking systems and fuel saving devices. ISS is dedicated to building its after sales and service team, to maintain its unrivalled reputation for after sales support and service. Gavin Thoday, Director, ISS, said: "Sustaining the highest standards of after sales care for our customers is our top priority. As a result we are focused on building up a strong team of service and support staff, before we expand our sales team."